Working at home just got easier thanks to Ooma’s newly released DP1 Desk Phone. We all know that home offices aren’t typically outfitted with the same infrastructure that you have at work, and the classic home office faux pas is when your children come home while you’re on a business call. We saw it happen in the viral clip where a BBC reporter’s children walked in during his on-air interview. However, if you were taking a work call at home while using Ooma’s DP1 Desk Phone, you could physically pick up the phone set and walk to another room, finishing your call while using the phone’s backup battery. Disaster averted thanks to the phone’s wireless technology! In addition to its wireless connectivity, the DP1 gives you access to tools that would otherwise be unavailable to customers using analog phones. For example, the DP1 has full two-line controls so you can make the most of Ooma’s advanced calling features, such as Instant Second Line™. Not only will your work calls get through even if a family member is using the phone, but your business calls made from home will sound professional, helping you make a good first impression. There are many reasons why VoIP adds value to your communications, including combining the best of cell phones and landlines. Now, you can maximize your Ooma VoIP home phone service by going completely free from Ethernet lines or telephone cables. In fact, one of the most exciting features of the Ooma DP1 Desk Phone is that it connects wirelessly to your Ooma Telo. You aren’t limited by your home office setup, and you can place the DP1 in locations where you may not be able to easily access a phone jack or Ethernet cable. All you need is an electrical outlet to have full telephone access. While you may have previously used an Ooma Linx to wirelessly connect your phone to the Ooma Telo, the DP1 has internal wireless capabilities without the need for an extra device. Using DECT 6.0 to transmit, the range of the DP1 phone is up to 150 ft. from the Ooma Telo. To put that in context, you can place the phone about 19 parking spaces away from your Telo. Not only does the Ooma DP1 Wireless Desk Phone offer wireless connectivity, but it also adds value to your phone system so your communications platform will be efficient and effective. Professional: Use the DP1 to maintain professionalism when working from home. With full two-line controls, you can place calls on hold and switch between calls. Wireless: The DP1 uses DECT 6.0 to connect wirelessly to the Ooma Office Base Station. No Ethernet cabling or extra adapters are required. Connected: The DP1 desktop phone can sync with Ooma’s Contact List. Users can also add contacts on the DP1 phone from the call logs and redial lists. Efficient: Get everyone in on the conversation with three-way conference calls. Fast: You’ll have 32 programmable speed dials so you can quickly and easily call your contacts. Intelligent: The DP1’s on-sight message waiting indicator will inform you of new voicemails. Prepared: The rechargeable backup battery can power the DP1 for 24+ hours when in standby mode or for 7 hours of talk time, helping you to stay connected even if you lose power. Locally networked: Use the phone’s Intercom feature to dial an internal phone that’s also connected to your Telo. User friendly: With the DP1, you’re not limited to using the phone’s handset. The speakerphone and headset functions give you the choice to have phone calls in a way that works best for you. The Ooma DP1 Desk Phone is affordably priced at $89 USD, and Ooma Telo customers can shop for the device via the My Ooma portal. 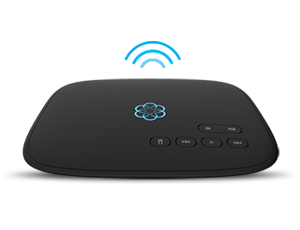 While the DP1 brings advanced wireless functionality to your Ooma Telo, it’s also compatible with Ooma Office phone service. So, if you’re using the DP1 for your home office and are planning for future business needs, the DP1 wireless desk phone can also be used if you expand to our award-winning business phone service. 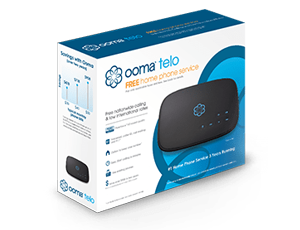 Learn more about Ooma Telo’s VoIP phone service, or log in to your Ooma account to purchase the Ooma DP1 Desk Phone for your home.